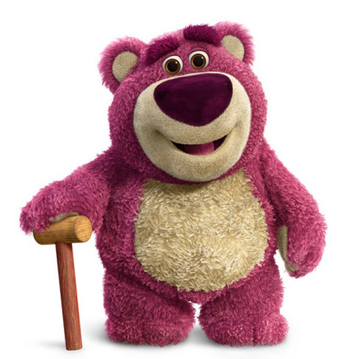 Because when you’re going to be talking about teddy bears you’ve got to make a Lotso Huggin Bear reference. Completely unrelated, but Toy Story 3 is still amazing. Okay, now I’m going to have to explain why I am bringing up teddy bears today. This is not in any way tied to pop culture today or anything going on in the world this week. No, this has everything to do with a video I saw online just a few days ago that has been stuck in my brain ever since. In the video above a man has given his wife-to-be a gift of a teddy bear for Christmas. Cool, he’s like all of my taken friends on Valentine’s Day. Nothing big right? Wrong. This guy just put every man on watch for the king of all boyfriends. The teddy bear is not just a teddy bear. It’s the teddy bear that was given to and loved by his fiancé as a kid. He just gave her back her best childhood friend in better condition than he’s ever been. When she realizes it’s her bear, Whitey, she loses it. She breaks into hysterical tears over how sweet it is. No, seriously, I did. I started crying the first three times I watched this video. No shame. See, I know very well about the emotional connection something like this can mean to a person. In this case it’s Whitey. To me it’s my baby blanket, which got its own article on my birthday in August. I would lose my mind too if I was in the same position as this girl. This is, literally, a perfect gift. It’s the sweetest thing. It’s also the biggest pimp move in the history of pimp moves. Unless you can raise a family member from the dead or successfully buy and make habitable Jupiter you are not topping this. This guy just won forever. He’s the king. I bow to the. Can you get me a Christmas gift this year? I’m really missing my Game Boy Advance and Pokemon Ruby game from 2003/4. Hint. Hint. Don’t blame me for trying.